Stamtec, Manchester, TN, introduces its new iLs1 servo press to show attendees. With servo-motor-drive technology, the standard electric motor, flywheel and clutch/brake are replaced with a high-torque, low-RPM servo motor. 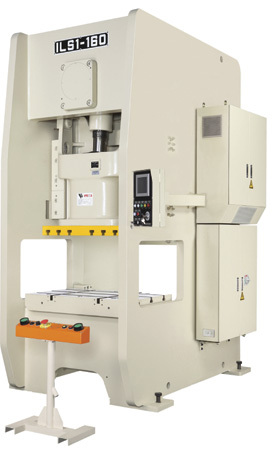 Proprietary press controls specifically designed for the servo press achieve a variety of stroke lengths and slide-movement profiles, while supplying full working-energy capacity even at low speeds. Preprogrammed profiles include deep drawing, warm forming, sheet forming and feeding/automation. In addition, unique profiles can be created by the end-user-user-defined motion curves allow as many as 20 various segments in a cycle curve, defined by segment position, speed and pause duration parameters.